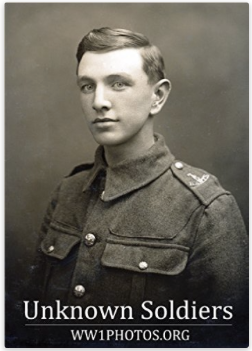 ‘Unknown Soldiers’ is the first in a series of books published by the on-line photo gallery, ww1photos.org, which was created in 2014 to commemorate British men and women who served during the First World War, and their families. Richly illustrated, it contains more than 180 original photographs of unnamed men and women in studio and informal settings. Of interest to historians, genealogists, photographers, students of fashion and film-makers alike, the book includes an account of photography in Britain during the First World War.